Hello loves! Thank you for stopping by my GORGEOUS new blog and website designed by the fabulous GoldenFox Design. Come sit a spell with me because we’ve got some catching up to do! Remember that one time I changed the Facebook page name from Southern Glam Weddings & Events to Southern Glam Meagan …and Facebook told all of you way too soon? As I promised, Southern Glam Weddings & Events isn’t going anywhere but rather it expanded underneath the brand, Southern Glam Meagan. Confused? Don’t worry because once you understand the concept – that confusion will fade away! So… let me break it down for you. I started blogging when I became engaged to my prince charming in 2010. My web designer is still working on transferring those blog posts here, so in the meantime, visit Southern & Glamorous. I took a small blogging break to enjoy newlywed life but I’m ecstatic about writing again. It’s no secret I’m obsessed with weddings, but I also kind of like baking, blogging, crafting, etc. I bake for events. I design for weddings. I travel to honeymoon destinations (shout out to Sandals Resorts!) It just makes sense to expand underneath a bigger picture. 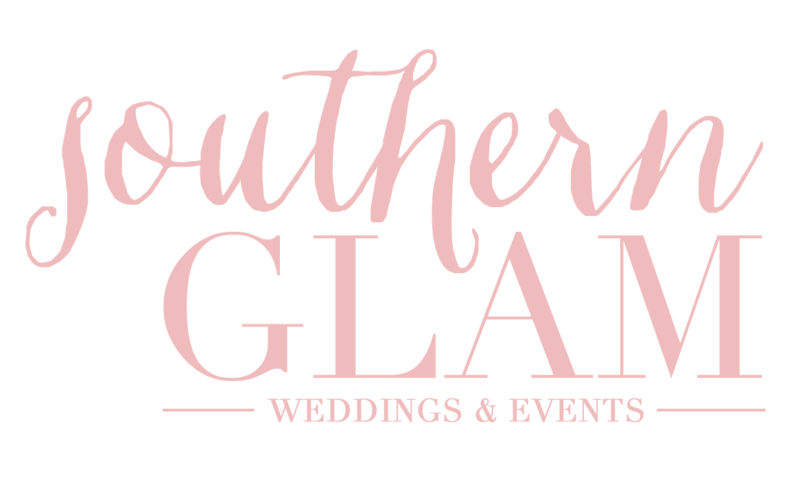 Southern Glam Weddings & Events is my main focus and my original company which still includes everything weddings and soirees. YAY! I contract a limited amount of weddings each year to devote my time and heart 100% for each wedding. To celebrate the relaunch of Southern Glam Weddings & Events, I’m taking 25% off Month of Coordination packages (Martinis & Masons) for newly booked weddings by August 1, 2015! Interested in a Southern Glam Wedding, let’s chat! When I’m not planning happily ever afters, I’m probably in the kitchen whipping up cupcakes for an event, scouring blogs for design ideas and inspiration, or traveling to a new destination (probably one of the gorgeous Sandals properties which allows me to research honeymoon locations!) See how everything ties together? Over the last year I did countless research and spent much time soul searching over what it was I exactly supposed to do. With the support (and patience) of my amazing husband and wonderful family and friends, I set out on a mission to rebrand and redesign my business. I’m SO excited to finally unveil where my heart has been the whole time. Thanks for being a Southern Glam (So Glam) follower!